Is that something you think about too? I happened to have three different tabs open to articles about better diagnostic tools for Rheumatoid arthritis! 1. Detecting damaging “invisible” inflammation in Rheumatoid Arthritis? Japanese investigators recently concluded that increased synovial vascularity (blood flow) is evident even with what appears to be “low disease activity.” And that increased activity correlates with joint damage even with apparent good response to treatment. The researchers concluded: “Smouldering inflammation reflected by positive synovial vascularity under low disease activity was linked to joint damage. The damage progressed irrespective of the severity of positive synovial vascularity. Even with a favourable overall therapeutic response, monitoring of synovial vascularity has the potential to provide useful joint information to tailor treatment strategies.” Read more about observing synovial vascularity with ultrasound in the Oxford Journal of Rheumatology. But such ideas are cutting edge… won’t it be years before such techniques are within reach? I particularly like this one because it does not use hands. Patients will be better off when the myth of hand-concentrated disease ends. MSUS is more sensitive than clinical examinations in detecting synovitis (inflammation) in established and early RA and discerning disease activity during so-called remission. US is more sensitive than radiography (x-ray) at detecting progression of erosions. Establishing proficiency with MSUS is still a huge problem because much experience is required to develop the expertise to make US reliable. The thousands of patients who tell us their disease activity is more than what their clinicians think it is are likely right. When there is something abnormal and destructive going on inside your body, you tend to feel it. Asking patients which joints are involved and how is still the best starting point. Do you have a blog – ANY KIND OF BLOG? You’re invited to post about a non-medicine item that brings you comfort or relief and might make a good present for someone living with a chronic disease like Rheumatoid disease. You can show just one item in a picture or create a whole list of items you love! Then email the link to your post to Kelly at rawarrior.com and I’ll put them all together and tell the world about your wonderful idea. We hope to get the Blog Carnival post up Wednesday so send your link asap! Had ultrasound pictures of both hands this July. Pictures showed joint erosion in both hands some extensive. This was right after being diagnosed with RA. These were required by my rheumatologist and a hand specialist. Exercises and warm water therapy were recommened. Pics were amazing to watch. My wish would be that doctors would be able to repair damaged hands. Just make them look somewhat normal. Mine are so deformed but they don’t seem to have an answer. They only say I have had RA since before treatment could prevent the damage. The damage happened back in the 1990’s and it happened so fast and painfully. I did have Methotrexate and anti-inflammatorily meds, plus prednisone. Have had joint replacement surgery in my hands in 1997, but now they seem too be needing more. They no longer hurt but I can’t use them too well and my little finger lies across my palm. One person compared my hands to witch hands. I would like to ask a doctor if she had my hands on her wrists if she would try harder to find a way to fix them. It is depressing. I am currently off my enbrel due to a replacement elbow that wouldn’t heal, I have had a bad flare I think, only to be told by my rheumatologist that I have slight inflammation! I was so annoyed, I can see and feel the damage occurring, this screening would show what damage I have. My RA Dr. says that my blood work shows no inflammation and that he feels my joints are not inflammed… then tell me why I can hardly move my fingers especially in the morning. Can’t hang onto the coffee pot with one hand, can hardly butter my toast. If I don’t get a cortisone shot in my arm (in the muscle) then I am not functional – can’t stand the pain the the tingling in my hands/arms at all. I don’t understand at all I’m going to suggest to him when I go back in January about having an ultrasound on my hands and knees. Thanks for the blogs they are very informative. Love your blog and I will be sending you a picture of all the non-pharmacological items that help me manage my RA. I too have noticed the increased vascularity of an area of high inflammation, and I have pointed this out to physicians several times only to be poo-pooed by them. After being “poo-pooed” so many times, I stop mentioning it. I have wondered for a while if that is the goal; to stifle me. Since physicians are supposed to be scientists, intent on finding cures, and treating the sick, I cant figure why they would want to stifle a patient who is presenting their findings, especially if it’s not ALL subjective. As far as non-pharm treatments, or products that may be helpful, I have several and I discovered them on my own via desperation. No once has a physician offered information about ultrasound, contrast baths, or topically applied solutions that may be helpful. I have to wonder if students who aim to be physicians are entering med school just like anyone who would be attending a trade school, who’s only goal is to learn the technique with technical procedures, as if there is nothing more to learn, discover, or improve; no more critical thinking. They go to work with a list of tasks, 3 RAs, 2 fibromyalgias, 4 uveitits, and a partridge in a pear tree. I wonder too about patients who are told their xrays are normal. I have had one set of xrays and one dexa-scan in 8 years since diagnosis. First of all, how would you know if there is no damage if there are no serial exams? And why would you want to wait until the damage is obvious? I feel like a ticking time bomb, not deserving of effective treatment until I am too bad to prevent further damage. “Erosion:The gradual destruction or diminution of something”. This gradual process is also a painful process, as tendons tug on bones, and the grinding of those structures until they erode. It is a painful gradual process that the physician deals with once a month when he sees his patient or when it cannot be ignored any longer, but it’s a painful process that the patient deals with every hour of everyday. I currently have a cyst on my wrist. My rheumatologists says “I don’t know what it is”. 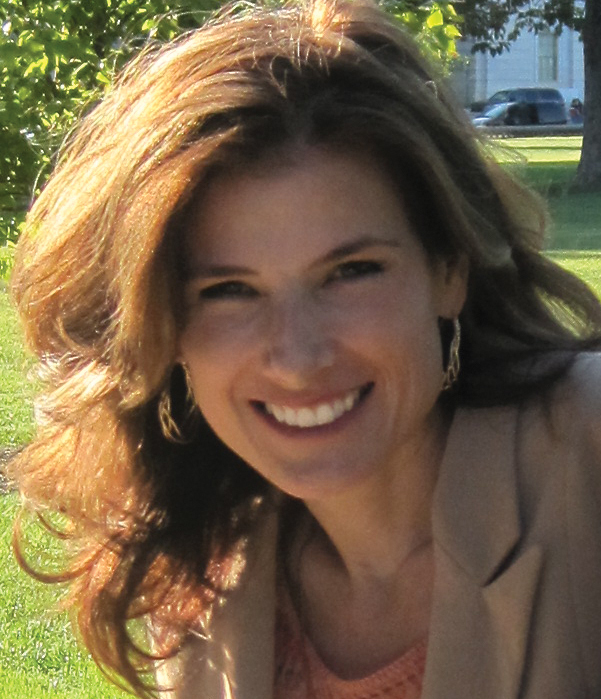 Kelly, thank you for posting about ultrasound tests. I appreciate hearing about your experience at the American College of Rheumatology (ACR) conference and your awareness that more training needs to be given to rheumatologists for administering ultrasound tests. I think there needs to be a quicker response and commitment by the ACR for an action plan on this topic. As always, your posts are so professional, accessible, and heartfelt. In my situation, I was really surprised at the discrepancy between my xrays and ultrasound and so thankful that my Rheumatologist at the time, Dr. Susan Knowles, ordered the ultrasound tests at the University of Arizona Medical Center in Tucson. If you are still taking names of outstanding Rheumatologists, she is among the top doctors I’ve ever seen and is now practicing in Las Vegas, Nevada. 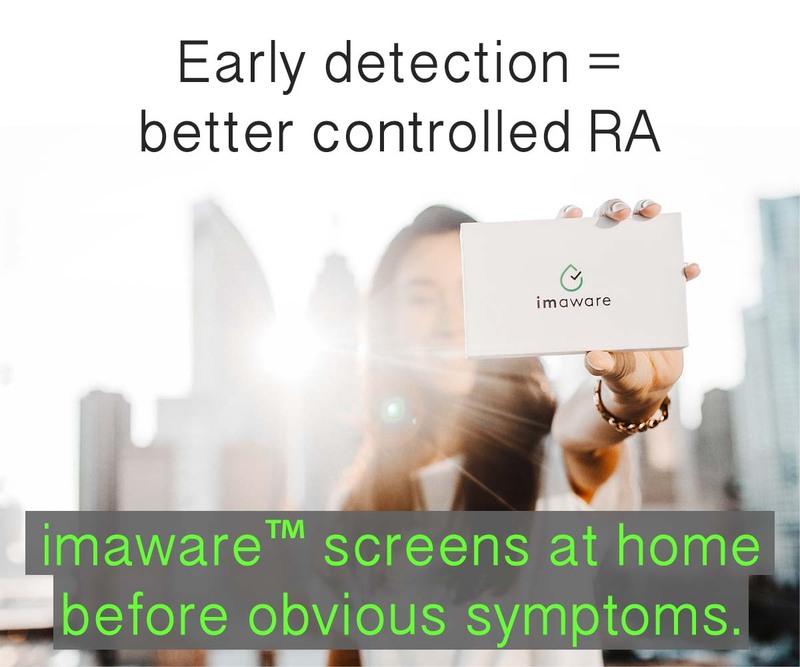 It is incredible to me that dozens of patients on rawarrior report the dismissing of really serious symptoms, particularly given the progressive nature of the disease. 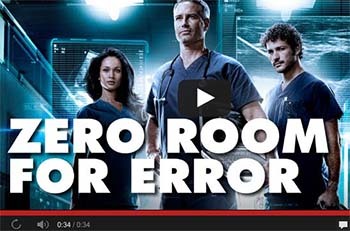 It is inexcusable but I don’t think doctors are necessarily at fault. I believe there needs to be a commitment by everybody about the urgent need for improved science and research of rheumatological diseases. A blame game of patients are crazy or doctors are incompetent gets us nowhere. A negative focus or passive acceptance just wastes our precious energy. My latest quest is to try and get some answers for my cervical spine, neck and shoulders that I’m watching deteriorate rather rapidly. This is a slightly higher priority to not being able to walk much. I’ve found some good recent research and have re-read your wonderful posts here on rawarrior. 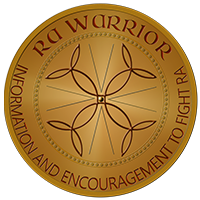 Daily, I’m thankful to you Kelly, for rawarrior, and the Rheumatoid Patient Foundation. I’m grateful you are leading so many for improvement in the science and treatment of RA and for the dignity of all people suffering from this disease. Blessings to you and your family !!! My last university fellow dr said to me, “well you last x-rays looked fine” I said “Well, those were of my hands, but most of my pain has been in my knees and shoulders, and we have not x-rayed them, so how can we tell if there has been damage?” He said “well, very true (big long pause) But if we did examine those joints, it would be inconclusive” I assume he meant that we would not be able to tell if damage there was from RA, or “something else”. It kinda sounded like he said “why bother”. Two things I can’t believe about this, 1. That they are paid so much for this particular profession 2. That they spent so much of their life in med school just to tell me this. Like my GP said, Rheum docs get all the patients that the rest of us don’t know what to do with…. I do feel bad for them. We definitly need better tests and indicators, otherwise its just like hitting a pinata while blindfolded. My Rheumy has does his own ultrasounds in his exam room…. I’ve had numerous ultrasounds on my hands, wrists and feet – he’s never even looked at baseline xrays my pcp ordered. It definitely does help – as he is able to pick up very low activity even though blood tests show up ok. He’s also checked my tendons for inflammation before and he’s used the ultrasound images to assist in giving me a cortisone shot in an inflamed tendon. Thanks again for an informative and thoughtful post! I have never had an ultrasound. I have had a series of xrays that showed I didn’t have OA in the joints that I was experiencing pain. Is US more accurate than an MRI? I’m concerned that having an ultrasound for inflammation by someone who has not been properly trained won’t be as useful as it could be. I hope this isn’t too off-topic, but the more I read in these comments and others, the more hopeless it seems to find a rheumatologist who actually possesses a brain (or, perhaps, a heart). Am I mistaken? Are there RDs who are interested in advancing the field, rather than simply going through the motions? Or do they all get so inured by the few patients who actually are hypochondriac whiners that they now believe that all of their patients are idiots and whiners? Am I nuts? As long as there’s life there’s hope! It might be a bumpy road, and you might go through years of bad care providers before you find a good one. It took me 5 PCPs and 2 rheumys, and 2 different states, until number 6 and 3 turned out well. My new rheumy is affiliated with the only teaching hospital in the state, and I’m convinced that is part of why I’m having a better experience. By nature of teaching the next generation of doctors, they HAVE to be more up to date on current developments. Plus my case is more challenging that most as I am completely Seronegative thus far, and yet I’ve responses pretty well to mtx and plaquenil (pain is now a bearable 2-6 versus unbearable 8-1,000). Keep a good symptom diary, what hurts, how much and when, plus anything else. And don’t take no if a doctor gives you a hard time because you have a list. If you can’t find local care, then there’s also the option of places like Hopkins, Cleveland Clinic and Mayo Clinic. I have no experiences with any, but I do know they are an option. I’m off to my rheumy tomorrow, and hoping he’ll say I have both RA and Sjogrens. Will make disability accommodations much easier. Also plan on asking about MSUS, since there seem to be annual events at the hospital he’s affiliated with that teach MSUS. Only drawback is its a 2 and a half hour round trip, just driving to get there. But it’s worth it. For those of us who don’t have access to MSUS, it might be worth bringing this site to the attention of your care providers. http://www.mskus.com/ They train care providers in MSUS, though I don’t know much else about them. Sorry for leaving it out of my previous post. Blame the brain fog! I have rheumatologist who has appeared in Texas Monthly as a “Super Doctor” for the past few years, but doesn’t bother to check more than one or two joints for swelling at my visits, even when I tell her which ones are swollen, and tells me that she thinks I might be nearing remission because my ESR and CRP are within normal limits. All joint pain, stiffness, and fatigue are blamed on fibromyalgia. I would welcome an ultrasound to find out what’s actually going on. We hear this constantly Karen and we are working through several ways to change that. Right now, I’m thankful that you are an informed patient who recognizes that is not adequate as an examination or an explanation of your Rheumatoid disease. I think a majority of patients would very much welcome an ultrasound, as you said, to show their doctors what is going on inside their joints and connective tissues. Has anyone asked for copies of medical reports and then found that the reports and/or notes from “professionals” seem to attempt to build a case that there is a difference between what the patient is reporting and the patient’s current functional abilities? I also read several statements in these reports that can only be classified as outright lies – that the patient asks for more services on a daily basis, etc… If you have experienced this, how have you approached the situation? Is it worth pursuing to have records (and the professional’s perspective) changed or will the person just appear even more questionable? Do you just switch health care providers? I just posted on RA Warrior Facebook page that the EULAR (2013) recommendations are just in. The task force provides substantial evidence for recommending MRI, ultrasound, and CT as superior tools to examination of joints by clinical examination in the treatment of rheumatoid arthritis !!!!! This is GREAT news and should help all of us with RA advocate for ourselves in insisting that MRI or ultrasound be completed on a routine basis to monitor our disease activity !!! I am in the exact same boat, however, my doctors nurse basically told me not to come back. I was diagnosed in 2010. I went into remission in 2013. I moved to another state and had to find new doctors. I’m experiencing exactly the same things I did before I was diagnosed, but this time instead of my feet it’s my hands. I’m really angry right now and I hurt. I wish I had the guts/energy to fight this doctor. My pcp is no better. I know I need to find new doctors. Best wishes to you!